If you've done any research on homeschooling and state homeschool laws, you know that the requirements for homeschooling are different for each state. Some states have more restrictions than others. Some require attendance, some record keeping, some grades. Others require you to teach certain subjects (don't let that overwhelm you). Some state want more details than others. In some states you don't even have to register your child for homeschooling. In our state we have to send an intended curriculum at the beginning of the year and an assessment from a certified teacher or test scores from a standardized test at the end of the year. Writing an intended curriculum can be a pain, but it gives me a good reason to plan out my year and get organized and focused on what I need to have my children learning over the course of the year. 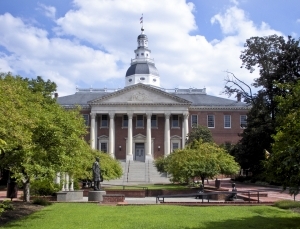 For a complete list of the homeschooling laws in your state you can check the HSLDA website for a comprehensive list. That will give you your state laws. To find out your local requirements just call your local or county superintendent and they can fill you in on what forms you need to fill out for them. They will probably send you an information packet. This doesn't mean you have to homeschool. Only when you send the paperwork in to them are you registered as a homeschooler. If you live in a city or small town, you will report to your local school superintendent. If you live in a very small town, village or in the country, like we do, you will probably report to your county superintendent. There is no reason to be intimidated by these people. For the most part, superintendents want what is best for your child too. The only obstacle I have ever run into is the fact that they have seen people who homeschool who don't actually teach their children. They let them watch TV and play video games all day because they can't get their children to do what they want them to. You can understand that superintendents might think that you are one of those people too. Homeschooling is a growing trend and our states have to come to grips with the fact that they will be working with homeschoolers. If you are pleasant and kind to them, you should be able to have a great interaction with them. Other homeschoolers can also be a great resource in this area. Ask those people around you who homeschool successfully what you need to do to comply with the local and state homeschool laws and they should be able to guide you in the right direction. There is no reason to be intimidated by this process. Many have gone before you and many more will come after you. If you are supposed to homeschool, complying with the laws will just be one step in the process. Get more information on how to get started with homeschooling by clicking on the tabs at the left on this page or head over to Start Homeschooling. 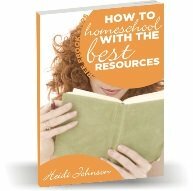 You will get all the information you need to make an informed decision and find all the resources necessary to have a great homeschool year.